He was born in Aleksandria, Kherson district, southern Russia, to a father who worked as a tinsmith. At age three he moved with his parents to Nikolaev. He studied in religious elementary school. 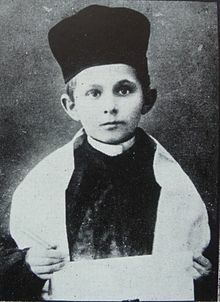 At age eight he began to sing in synagogue. As age nine he appeared on stage as a soloist. At age twelve he joined an amateur children’s circle and performed in Goldfaden’s Akeydes yitskhok (The binding of Isaac) and Di kishefmakherin (The sorceress). In 1908 he immigrated with his parents to the United States. He attended public primary school and high school in New York. He later led the prayers from the synagogue lectern on Sabbaths and generally turned his attention to the cantorial art. He went to work as an extra in the Yiddish theater, singing in choruses and studying at the Julliard School, from which he graduated with distinction. He also studied harmony with the celebrated composer Ernest Bloch. He was a chorus singer (1913-1914) and a composer at the Odeon Theater. From 1915 he served as a director in a series of Yiddish theaters, especially in those staging operetta. He composed the music for many operettas, melodramas, and musical comedies. He authored the orchestral adaptation of the folk melodies in Sholem Aleykhem’s Tsvey hundert toyzent (200,000), as well as for the opera Shulamis (Shulamit), which was performed in Philadelphia (1922) and in New York (1927-1929). He also composed music for the Yiddish-language films: Eybike naronim (Eternal fools), Khazonim af probe (Cantors auditioning), and Der seder (The Passover service), as well as compositions for poetry by Yehoash, H. Leivick, Avrom Reyzen, Shimen Frug, and Y. Adler. He was the author of a Yiddish symphonic rhapsody and numerous compositions of a chamber character. In addition to his popular composition “Dos yidishe lid” (The Yiddish song), which was sung by actors and folksingers, he was especially famous for his song “Bay mir bistu sheyn” (You’re beautiful to me), lyrics by Jacob Jacobs, which from 1931 was a hit throughout America and Europe. 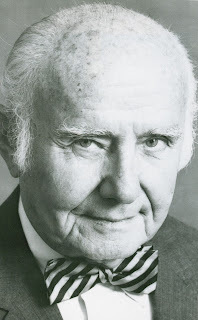 He was a regular contributor to Forverts (Forward) in New York, in which he published many articles and treatments concerning music, musicians, and a variety of musical matters, as well as travel impressions (1960) of the state of Israel and Soviet Russia. In August 1963 he began publishing (in Forverts) a series of travel images from ten countries. He also served as secretary of the Society of Jewish Composers. On his seventieth birthday in 1964, Secunda completed an oratorio based on Y. L. Perets’s popular story “Oyb nit nokh hekher” (If not higher). The oratorio was performed in November 1964 at the Eastman School of Music in Rochester, New York, with the participation of the famed singers from the Metropolitan Opera House. “In the columns of Forverts,” wrote Khayim Ehrenraykh, “Secunda interprets and construes the works of the great artists, as well as the art of the artists, who played and sang their work, and always Secunda point to the valuable and rejects the offal…. He is one of the hardest workers in his field. He is the musical director at the great Concord Hotel, and the ten symphonic concerts that he performs there each summer have become renowned in the world of music. He is also intent on providing music for the largest organizations, institutions, and holidays in New York.” He died in New York. Sources: Zalmen Zilbertsvayg, Leksikon fun yidishn teater (Handbook of the Yiddish theater), vol. 2 (New York, 1934), with a bibliography; M. Gelbart, in Tog-morgn-zhurnal (New York) (June 30, 1960); “Khronik” (Chronicle), Tog-morgn-zhurnal (February 15, 1961); Khayim Ehrenraykh, in Forverts (New York) (February 28, 1961; August 15, 1964); A. Gelb, in The New York Times (New York) (February 17, 1961); D. Nimets, in Forverts (November 28, 1964).